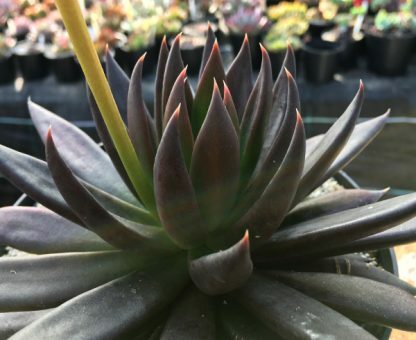 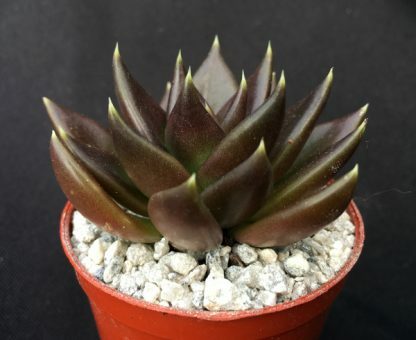 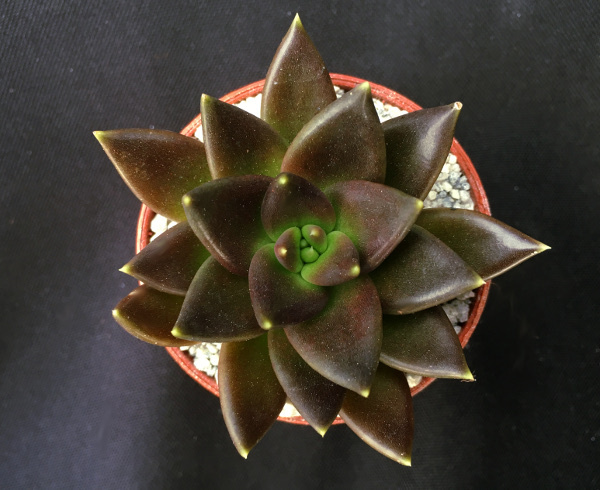 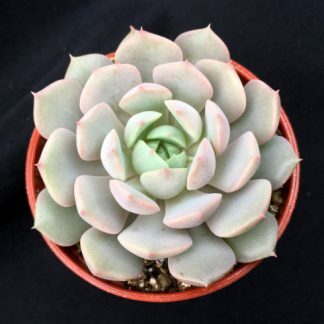 Echeveria affinis native to Mexico is probably one of the most attractive and most distinct species of Echeveria, they are known for there beautiful dark/chocolaty almost black leaves. 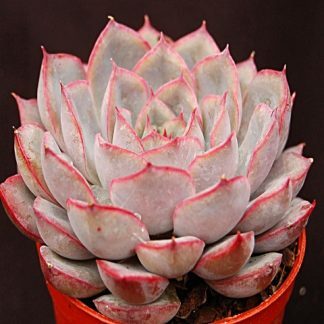 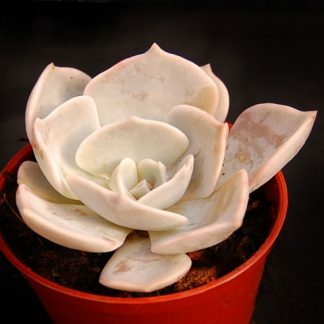 It produces these wonderfully shaped leaves that almost look sharp to touch but are in fact soft and smooth, during the spring they produce wonderful deep red flowers, a definite for any collection, an ideal potted houseplant on a bright windowsill. 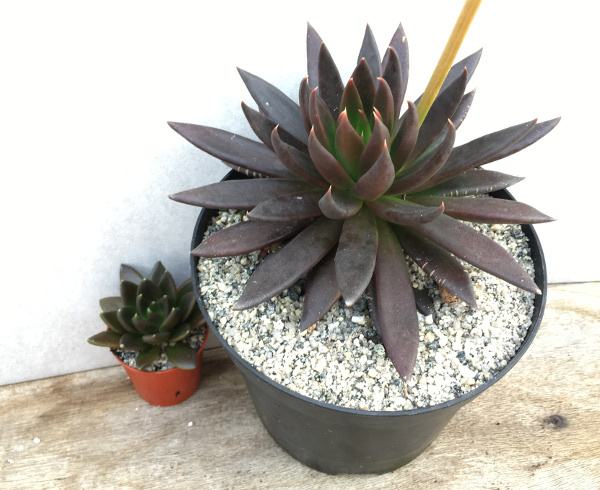 These plants were grown by seed at the nursery.